If you are living with diabetes, you've most likely had your blood or urine tested for ketones. When your body doesn't have enough insulin to absorb glucose, it breaks down fats for energy, creating chemicals called ketones as a by-product. Everyone produces ketones, but if you have diabetes, you have a greater risk of ketones building up in your blood, which can lead to diabetic ketoacidosis (DKA), a condition that can make you ill; in extreme cases, diabetic ketoacidosis can lead to coma and death. People with type 1 diabetes are more likely to develop diabetic ketoacidosis, but those with type 2 are also at risk. Because DKA can be life-threatening, it is critical that you know when and how to test for ketones in your blood and how to interpret the results. Feeling confused or "in a fog"
Testing your urine is one way to detect the presence of ketones, but blood testing is considered more accurate. 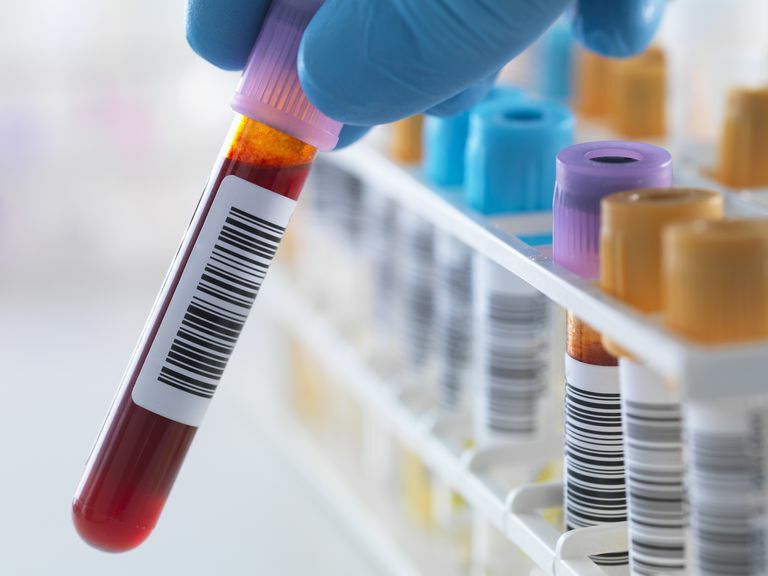 Blood tests can be done in a lab, but convenient home meters are available and allow you to test right away if you are having symptoms of ketoacidosis. Two popular combination home blood glucose and ketone meters are the Precision Xtra Meter by Abbott Labs and the Nova Max Plus, by Nova Biomedical. When purchasing test strips, keep in mind that each meter requires its own test strips; they are not interchangeable. Pay attention to expiration dates on the strips, both when you receive your purchase and when you test your blood. Expired strips will not give accurate results. The FDA warns against buying previously-owned test strips, as you risk getting a product that hasn't been properly stored and may have expired. The FDA also warns against purchasing strips that have not been cleared for sale in the United States. To get an accurate reading, follow these step-by-step instructions. Below 0.6 mmol/L: If your reading is below 0.6 you are in the normal range. 0.6 to 1.5 mmol/L: If your number is in this range you have the presence of ketones in your blood, which may develop into a problem if not treated. You should get in touch with your healthcare provider and follow his or her instructions. A ketone blood test reading of 3.0 mmol/L may warrant a trip to the nearest emergency room for immediate treatment. If you have diabetes, you should discuss home blood ketone testing with your doctor to learn whether it is recommended in your case and when you should perform the testing. Ketone testing is particularly important during periods of illness. When caught early enough, diabetic ketoacidosis can be reversed by administering IV fluids and insulin.